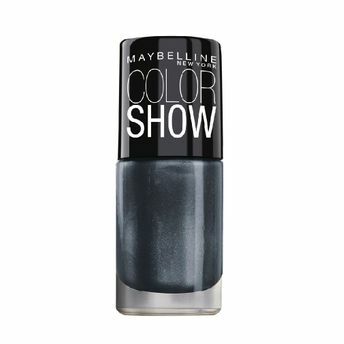 Pop your nails with Maybelline Color Show Bright Sparks Nail Polish. This new range introduces eight new dazzling colours. Each colour is handpicked by India?s top beauty bloggers. It is long lasting, does not chip easily. The flat brush allows you an easy application. Available in eight vibrant shades. Additional Information: Maybelline New York started as a small family business and now it is one of the top American cosmetic brands. They offer a wide selection of makeup that is pocket friendly. These eye-catching colours are inspired from the New York fashion week! Explore the entire range of Nail Polish available on Nykaa. Shop more Maybelline New York products here.You can browse through the complete world of Maybelline New York Nail Polish .Alternatively, you can also find many more products from the Maybelline New York Color Show Bright Sparks Nail Polish range.